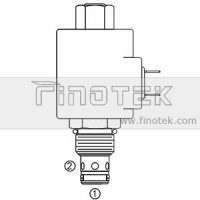 cartridge solenoid valve SV12-20 series is designed with the standard cartridge threaded and coils dimensions for easily replacement and brand interchangeable. 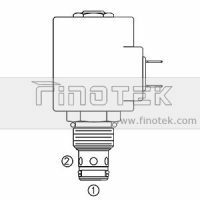 The SV12-20 cartridge solenoid valve is operated by a solenoid energized or de-energized, the solenoid acts as per the electric signal. 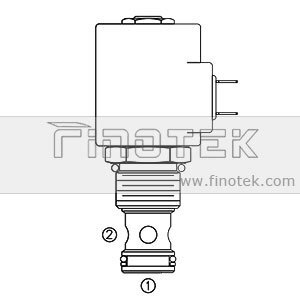 The cartridge solenoid valve is closed when the solenoid is de-energized, the flow from P port to T port is blocked, the function is similar with one-way check valve. 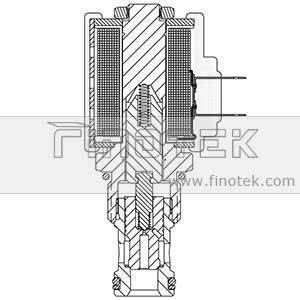 When the solenoid is energized, the poppet is lifted by electromagnetic suction, leads the oil port T and P flows through. 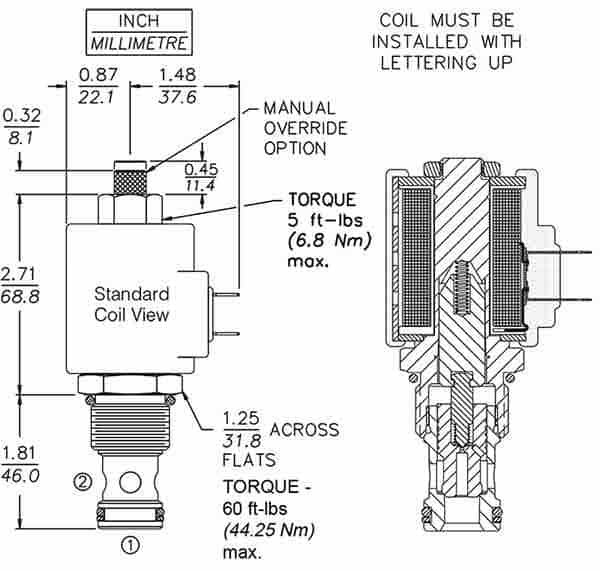 There are a four common voltage and three type of coil termination options available. 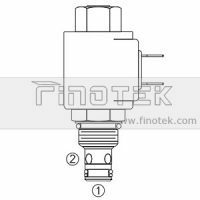 The cartridge solenoid valve is with manual override or without override option, as valve protection in normal operation. 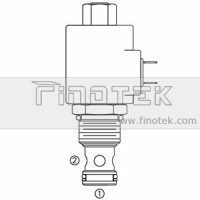 In industrial areas, especially in weight and space limited occasions, the traditional industrial hydraulic modular valves are hard to be installed, but the cartridge solenoid valve is hot selection there. 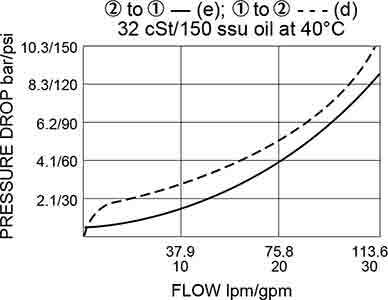 In some applications, cartridge solenoid valves is the only option to improve productivity and competitiveness. – Neutral packing(neutral plastic bag + neutral tan box + neutral carton + Plywood pallets. – Color box packing(plastic bag + color box + carton) + Plywood pallets. 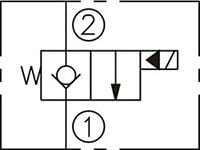 – Lead time as per quantity & customers’ requirement.